Thomson Data is a well-known B2B marketing solution provider that offers high-quality data for the businesses which are accurate and reliable. You can contact your target audience via emails, physical mails or telephone using the data we provide in our database. But from where do we source it? We rely on multiple e-zines and newsletters to offer you the authentic information about your prospects. Apart from offering genuine data, it comes with numerous benefits. 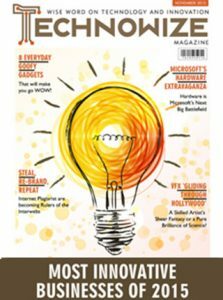 About the Magazine: The Workforce magazine is one of the prominent sources of news, solutions, and analysis for people management professionals. It connects the central area of HR with a practical business strategy. Workforce answers your questions, provides solutions, and helps you in the decision-making process that moves your company as well as a career into the right path. 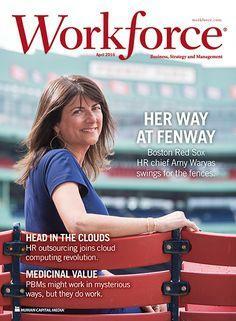 About the Audience: The Workforce magazine consists of readers from several human resource roles that you can segment based on industry type, size, and location. It gives you an immense opportunity to directly put forward your ideas on products and services to the decision makers in this area. Audience Profile: The readers of Workforce includes managers, professionals and top-level executives with job roles – Human Resources, Training, Benefits, Recruitment, Communications, and Employee Relations. About the Magazine: Chief Executive is a famous controlled circulation magazine. This magazine offers real-world best practices, meaningful peer interactions, and insightful analysis. It reaches over 42,000 chief executive officers and their peers in the company. About the Audience: The subscriber data from this magazine helps you to advance your multi-channel marketing campaign with various data of C-level professionals. You can generate a powerful result and drive a significant relationship with the leaders of the industry. 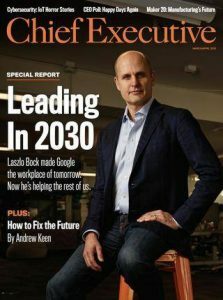 Audience Profile: The readers of Chief Executive include senior management, C-level executives, corporate board members, founders, and owners of the enterprises. 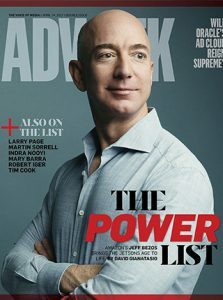 About the Magazine: Adweek is the leading news and insight provider who is serving the brand marketing ecosystem since 1979. The topics in its coverage reach professionals across multiple platforms such as digital, mobile apps, print, events, social media, newsletters, and podcasts. Adweek is an excellent resource for industry leaders across several segments. About the Audience: The Adweek magazine consists of readers from several industries who are primarily into the decision-making process. You can segment the data from this list based on industry type, size, and location. Also, it lets you to quickly put forward your thoughts on brands to the key players in this field. Audience Profile: The readers of Adweek include VP, C-level, directors, partners, owners, founders, chairpersons, and other key decision makers of the industries. 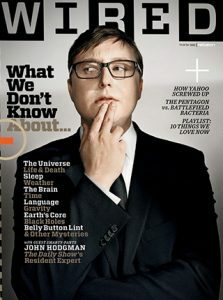 About the Magazine: Wired is an American magazine that primarily concentrates on emerging technologies, its effects on culture, politics, and the economy. This website hosts technology related blogs on various topics such as new products, security, video games, cameras, business, culture, transportation toys, creating websites, and science. Wired is also famous for publishing the Vaporware Awards. About the Audience: Data from Wired Magazine subscribers list lets you advance your multi-channel marketing campaign with several lists of tech enthusiast and IT experts. You can target the specific industry or location by customizing the data we provide in the list. Audience Profile: The readers of Wired include technology enthusiast, IT professionals and executives of information technology industries. About the Magazine: Technowize is one of the innovative and digitally oriented magazines which cover various aspects of technology such as tech events, software, hardware, apps, gadgets, design, enterprise businesses, privacy, big data, and cloud. It is the reliable source for in-depth reviews, features, latest news, newsletters, and blogs related to technology. About the Audience: Technowize Magazine consists of millions of subscribers, and these data are sufficient to execute your marketing campaign with tech-savvy leaders, IT professionals and gadget geeks. You can segment the list based on specific industry, its size, and location. You can also easily propose your ideas to the top-notch decision makers in this segment. Audience Profile: The readers of Technowize include IT experts, technology enthusiast, decision makers, and executives of IT companies. 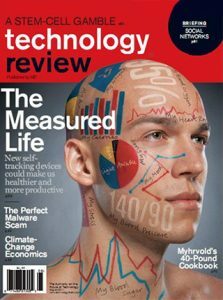 About the Magazine: MIT Technology Review is the top magazine to report on new technologies that affect your lifestyle, career, and organization. It is known for publishing features, reviews, business reports, news analysis, photo essays, and interactive digital experiences that help the readers to see, explore, and learn new technologies and their influence. About the Audience: MIT Technology Review magazine provides various data of prospects which is the required to run a marketing campaign with IT experts, professionals, and executives of IT industry. You can segment this data based on your business requirements such as industry, size, and location. Audience Profile: The readers of MIT Technology Review include IT specialists, thought leaders, technology enthusiast, innovators, key decision makers, early adopters, entrepreneurs, executives of IT industries and MIT’s alumni. 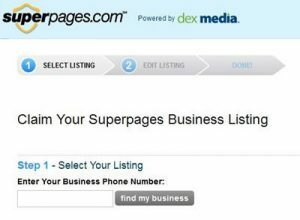 About the Directory: Superpages is the famous local expert used by people. It is a top online resource to find data and insights of businesses as well as retailers. It helps millions of consumers worldwide to find various local business information such as driving directions, web links, customer reviews, and hours of operation. About the Audience: Superpages provides data of millions of prospects which helps you to execute your marketing campaign with any business leaders, software professionals, entrepreneurs, digital marketers, and other decision-makers of the industry. You can easily segment these data based on your business needs. We provide all the essential information about your potential customers which is sufficient to connect with them effortlessly. Audience Profile: The users of Superpages directories include marketers, IT experts, small businesses, software companies, digital marketers, tech service providers, decision makers, HR professionals, accountants, system administrators, and executives of the industry. 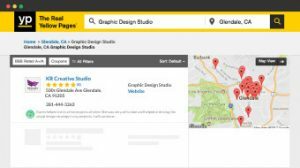 About the Directory: Yellow Pages, also known as YP.com is a United States-based web site that provides hundreds of thousands of listings for local businesses. Founded in 1996, it offers various marketing tools such as local search, online presence, direct marketing, and display ads. Many companies rely on it since it is easy to search for the companies of their interest. About the Audience: Yellow Page consists millions of users from several areas such as software professionals, business leaders, tech geeks, and other decision makers of the industry. We provide you the customized data of your prospects from this list based on your needs such as industry type, location, or size. With the help of this targeted data, you can execute marketing campaigns and interact seamlessly with the top-notch players of the organization. Audience Profile: The users of Yellow Pages directories include marketers, IT professionals, small businesses, software companies, decision makers, and executives of the several industry. 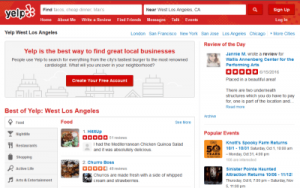 About the Directory: Yelp is a popular local-search service which publishes crowd-sourced reviews about local businesses. Founded by two former PayPal employees, Russel Simmons and Jeremy Stoppelman in October 2004, it now has 77 million unique visitors and more than 148 million reviews in its store. About the Audience: The data we provide from the Yelp directory helps you to execute your marketing campaign with any business leaders, IT professionals, digital marketers, and other decision makers of the industry. You can segment the data we provide from this list based on your business requirements. Also, you can use them to interact flawlessly with the industry leaders. Audience Profile: The users of Yelp directories include marketers, IT professionals, small businesses, software companies, digital marketers, tech service providers, decision makers, and executives of the industry. About the Directory: The Better Business Bureau is a renowned private, nonprofit organization founded in 1912. It uses an Accredited Businesses system to give rankings to various companies, non-profit organizations, and charities. About 400,000 local industries in North America are accredited by it. 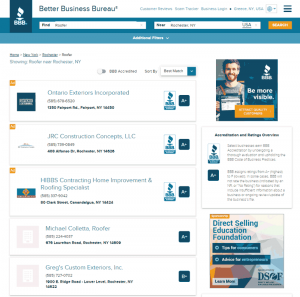 BBB stores data about businesses and uses dispute resolution measures by the Council of the Better Business Bureaus. About the Audience: Data from BBB directory helps you to execute your marketing campaign with any business leaders, professionals or top-notch decision makers. We allow you to customize this data based on specific industry type, location, and size. You can interact seamlessly with the key players of the industry with the help of it. Audience Profile: The users of BBB directories include marketers, IT professionals, small businesses, bankers, manufacturers, decision makers, and executives of the industry. 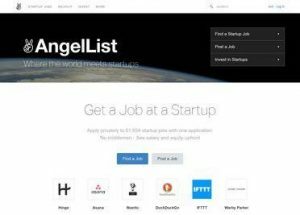 About the Directory: The AngelList is one of the prominent U.S. website designed exclusively for startups, job-seekers, and angel investors. Created in 2010 by serial entrepreneur Naval Ravikant and Babak Nivi, the platform is focused on democratizing the investment procedures and also to help startups with their difficulties in fundraising and hunting the talents. About the Audience: AngelList directory provides you with all the essential data that is required to execute your marketing campaign with any B2B leaders, professionals, marketers, and other decision-makers of the tech segment. We offer you option to customize the record from this source based on your business interests. And, all the information we provide here is adequate to connect with your potential customers smoothly. Audience Profile: The users of AngelList directories include marketers, IT experts, small businesses, software companies, digital marketers, tech service providers, decision makers, HR professionals, system administrators, and executives of the IT industry. 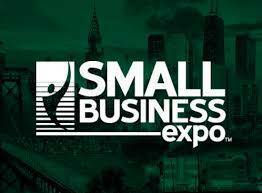 About the Source: Small Business Expo organizes educational events that help small business owners and entrepreneurs all over the world. To date, this company has produced more than 75 expos successfully. It has also been acknowledged four years continuously as an Inc. 5000 fastest-growing private company. Their exhibitions include Workshops & Seminars, an Exhibitor Hall, Product Demonstrations, Business Card Exchange, Speed-Networking, Industry Connections, and other networking areas. About the Audience: Small Business Expo contains data of various industries that aids you in executing your marketing campaign with B2B leaders, professionals and top-notch decision makers. You can easily connect as well as network with vendors with this list. Besides, you can also customize the data based on specific business requirements. Audience Profile: The users of Small Business Expo include marketers, business owners, IT professionals, small businesses, entrepreneurs, manufacturers, decision makers, and executives of industry. 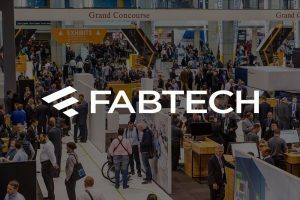 About the Source: FABTECH is one of the popular expos which offers a convenient place where one can meet world-class suppliers and technology pavilions across the globe. Also, you can find the latest industry products, tools for productivity improvement, and discover innovative solutions here. About the Audience: You can use the data we source from FABTECH to advance your multi-channel marketing campaign with high-level decision-makers, influential buyers, manufacturers, producers, and suppliers of the industry. The data we provide here is adequate to build brand awareness, collect leads, expand market share, and increase profits. Audience Profile: The users of FABTECH include industry experts, technology enthusiast, manufacturers, decision makers, managers, HR professionals, and executives of various companies. 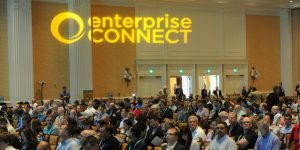 About the Source: Enterprise Connect organizes several leading conferences and expo for Enterprise IT professionals that offers comprehensive analysis, in-depth information, and expert insight across multiple topics such as SIP Trunking, Unified Communications, WebRTC, Cloud, Speech Technologies, Video, Team Collaboration, and more. Besides, the company also organizes complimentary educational sessions providing the latest information on leading topics. About the Audience: The Enterprise Connect provides the data of event attendees which is sufficient to successfully implement the marketing campaign with influential enterprise communications as well as collaboration decision makers from global companies. Our verified list lets you customize the data based on industry type, size, and its location. You can quickly offer your ideas to the decision makers in any vertical. Audience Profile: The users of Enterprise Connect includes high-level professionals from large corporations, universities, government agencies, health care institutions and other verticals and public institutions. About the Source: Interop is organizing the event for 30 years where IT experts meet and know about the new trends in the industry. 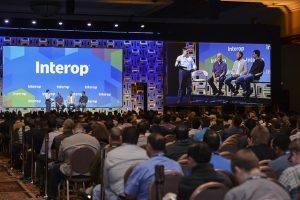 Interop Summits are usually one or two-day programs that offer an immersive knowledge and in-depth instruction on a specific skill or technology. About the Audience: The data from Interop lets you run your campaign with any business professionals, executives, and decision makers of the company. You can segment the data we provide based on your industry requirements such as industry type, revenue, size, and geographical location. You can even put forward your ideas to the top-notch decision makers in any segment. Audience Profile: The users of Interop include industry thought leaders, marketing enthusiast, decision makers, network architects, developers, IT specialists, cloud advocates, and executives of various companies. About the Source: 10 Times helps people discover relevant events at the right place and at the right time. With information of over 300,000 events globally, it is used by millions to decide the event that is organized in more than 10,000 cities across 150+ countries. About the Audience: With the help of the data we obtain from 10 Times site, you can run the marketing campaign successfully with industry leaders, and professionals. It is easy to segment this data based on specific industry, its size, and location. One can also propose their ideas to the critical decision makers of the industry with these data. Audience Profile: The users of 10 Times include experts, technology enthusiast, decision makers, and executives of companies. 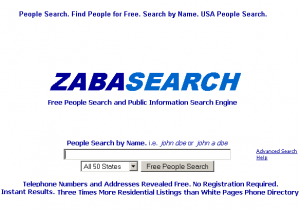 About the Source: ZabaSearch is a leading provider of public information about United States residents and their connections. This website collects disparate data that includes name, address, phone number, and date of birth. It also permits the user to query any search engines with this data to retrieve supplementary data, such as criminal background verifications and satellite images of location. About the Audience: ZabaSearch contains records of millions of users which are highly authentic and lets you execute your marketing campaign with B2B leaders, professionals and top-notch decision makers. You can customize the list based on specific business, its size, and location. It helps you to propose your ideas to the key players in any segment. Audience Profile: The users of ZabaSearch include marketers, social media managers, IT professionals, small businesses, bankers, manufacturers, decision makers, and executives of industry. 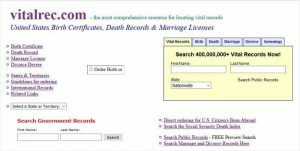 About the Source: Vitalrec.com is the leading website known for locating vital records such as birth certificates, death records, marriage licenses, divorce decrees, adoption, naturalization, and land records of U.S., U.K, Germany, and residents of various other places. It offers you an option to view the information of a particular area by selecting the state or territory of choice. About the Audience: The data from Vitalrec.com website helps you to progress your multi-channel marketing campaign with numerous data of C-level executives, IT experts, marketers, health care professionals, and decision makers of the industry. The data we provide from this source is sufficient to drive a significant relationship with the leaders of the industry and generate a robust result. Audience Profile: The users of Vitalrec.com include industry experts, technology enthusiast, decision makers, health care professionals, managers, HR professionals, educators, and executives of various companies. 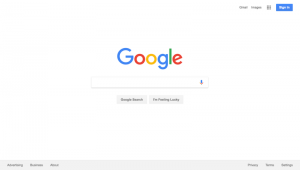 About the Source: Google is a famous American multinational technology company which is specialized in various Internet-related services and products such as search engine, online advertising technologies, cloud computing, hardware, and software. It is one of the most valuable brand and also the most visited website in the world. About the Audience: The data we source from Google aids you in implementing the marketing campaign with business leaders, IT professionals and marketing geeks. Our verified list lets you segment the data based on industry type, size, and its location. You can quickly offer your ideas to the decision makers in any vertical. Audience Profile: The users of Google include business experts, technology lovers, sports enthusiast, health care professionals, entrepreneurs, decision makers, and executives of companies. 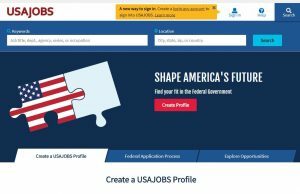 About the Source: USA Jobs is the Federal Government’s authorized employment site which connects job seekers with various federal employment openings across the U.S. and other parts of the world. It is known for providing resources to aid the right people to find the appropriate jobs. Over 500 agencies located in more than 147 countries post the job on this website. About the Audience: USA Jobs website contains millions of records of job seekers all over the world. We source data from this portal to provide you with the accurate data that helps to run a campaign with any business professionals, executives, and decision makers of the company. You can segment the data we provide based on your industry requirements such as industry type, revenue, size, and geographical location. You can even put forward your ideas to the top-notch decision makers in any segment. Audience Profile: The users of USA Jobs include experts, marketing enthusiast, decision makers, and executives of various companies. About the Source: LinkedIn is one of the leading business and employment-oriented service which was founded on December 28, 2002. It is used for professional networking that consists of people posting jobs as well as job seekers posting their CVs in this platform. 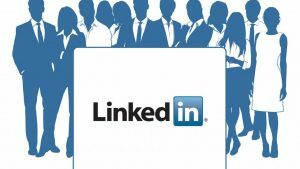 LinkedIn has 590 million registered members in 200 countries, and more than 250 million active users. About the Audience: With the help of our LinkedIn source, you can run the marketing campaign successfully with industry leaders, and professionals. It is easy to segment this data based on specific industry, its size, and location. One can also propose their ideas to the critical decision makers of the industry with these data. Audience Profile: The users of LinkedIn include experts, technology enthusiast, decision makers, and executives of companies. 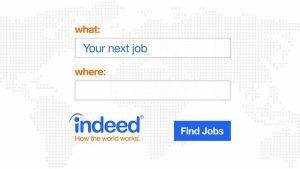 About the Source: Indeed is a well-known American worldwide employment search engine. It is launched in November 2004 by Paul Forster and Rony Kahan. Indeed is the subsidiary of Japan’s Recruit Co. Ltd, and it is currently available in 28 languages and more than 60 countries. This website had also become the highest-traffic job website in the U.S. in 2010. About the Audience: With the help of the data we source from Indeed portal, you can execute the marketing campaign with industry experts, and professionals globally. It is easy to customize the data in this list based on specific industry, its type, size, and location. You can also propose the ideas to the critical decision makers of the organization with these data. Audience Profile: The users of Indeed include experts, technology enthusiast, decision makers, and executives of B2B companies. About the Source: Global Test Market is a popular survey website which received accreditation from the BBB. It serves 1400+ clients in more than 60 countries. 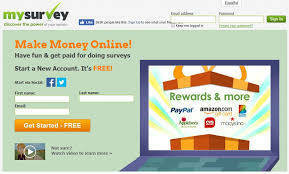 Like every other survey site, it also offers cash and rewards for the user who share their thoughts here. This site contains several topics ranging from motorbikes to entertainment. About the Audience: Global Test Market website contains records of millions of prospects worldwide which lets you execute a multi-channel marketing campaign effortlessly. It includes the data of business leaders, entrepreneurs, IT experts, decision makers, and professionals from different backgrounds. You can target your right audience by customizing this data based on specific industry or location. Audience Profile: The users of Global Test Market include tech geeks, executives and decision makers of startups, small businesses, mid-level as well as large organizations. About the Source: My Survey is the world’s number 1 online paid survey website that rewards the user for sharing their views. Launched in 1946, this site has hundreds of thousands of users. Since you get paid honestly for taking the survey on this website, it has gained wide popularity in the web space. The results of this survey are routinely reported in popular publications such as The New York Times, USA Today, and many more. About the Audience: Data from My Survey website lets you advance your multi-channel marketing campaign with several lists of marketing enthusiast and executives of the industry. You can target any specific segment or geographical location by customizing the data we provide from this list. Audience Profile: The users of My Survey include top-level executives, marketers, digital advertisers, IT professionals and business leaders of various B2B sectors. About the Magazine: Inbox Dollars survey website lets you earn cash for multiple activities. It includes completing surveys, questionnaires, internet surfing, watching TV, playing games, reading emails, online shopping, and redeeming grocery coupons. This site has already paid more than $57 million for the users. About the Audience: Inbox Dollars maintains data of more than 17 million members which are essential to boost your revenue by targeting the right audience appropriately. You can successfully execute multi-channel marketing campaign using this data and also contact decision makers, top-level executives, and professionals of various B2B segment. Audience Profile: The users of Inbox Dollars include IT professionals, retailers, marketers, and executives of various industries worldwide. 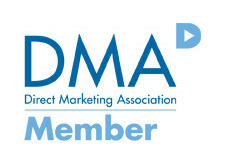 About the Source: DMA or Data & Marketing Association, formerly known as the Direct Marketing Association, is one of the oldest survey websites with a network of more than a thousand companies. The primary objective of this site is to advance as well as protect data-driven marketing that is capable of providing the customized user experience. About the Audience: DMA consists of real data of millions of users that lets you reach business experts, tech enthusiasts and key decision makers of several industries. You can target the prospects or potential market of your interest by segmenting this data quickly. Since all the data are 100% trustworthy, you can use it for executing multi-channel marketing campaigns worldwide. Audience Profile: The users of DMA include marketers, business leaders, tech enthusiast, IT professionals and executives of several B2B segments. 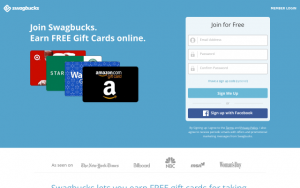 About the Source: Swag Bucks is a complete online survey site that asks the users to watch entertaining videos, shop online, answer surveys, play games, search the web, and find great deals to receive reward points. Headquartered in El Segundo, California, this website has more than 10 million members and has earned $54 million revenue. About the Audience: Swag Bucks website provides all the essential B2B marketing information of executives, tech enthusiast, marketers, business leaders, and IT experts. You can target the specific industry or location by customizing the data we provide from this list. Do You Want to Proceed with Our Service? We rely on many such top-rated magazines, newsletters, and other authentic data sources to compile the highly reliable list. Then we use multiple in-house data verification tools to clean and append data to our existing list and add new data in the records as per the findings. You can directly use this list for your multichannel marketing campaigns such as telemarketing, email marketing, direct marketing, and other practices. It helps you to boost your conversion rate and thereby your revenue to a greater extent.